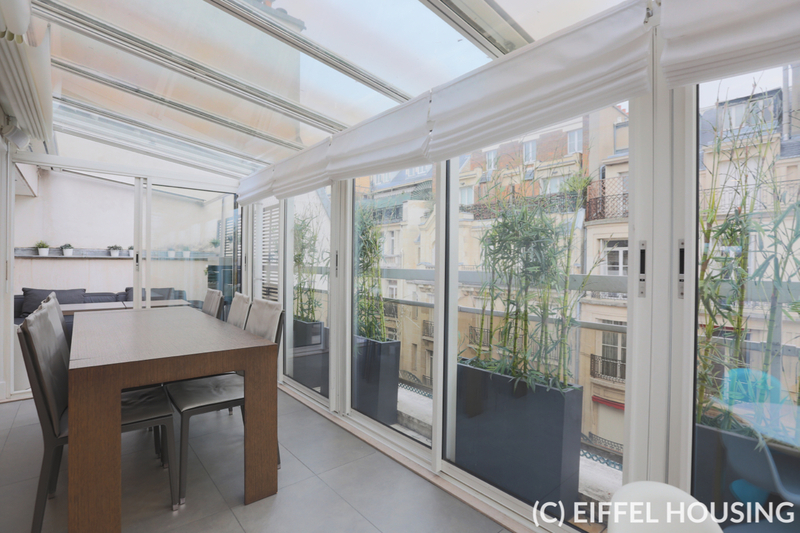 Beautiful high end furnished triplex with a breath-taking top floor terrace (~40 sqm) and a dining room under a conservatory. 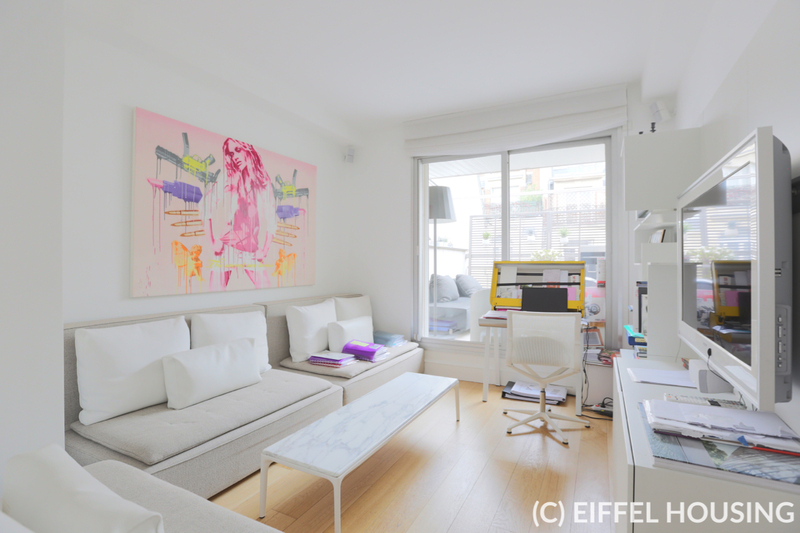 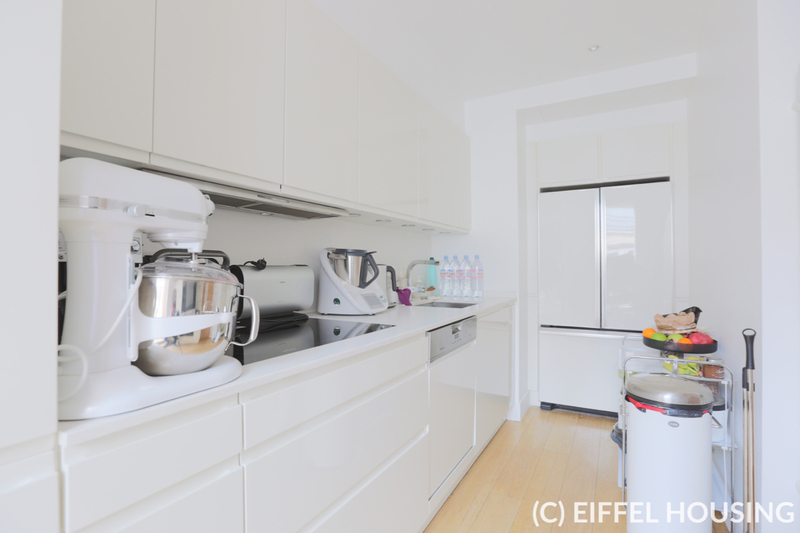 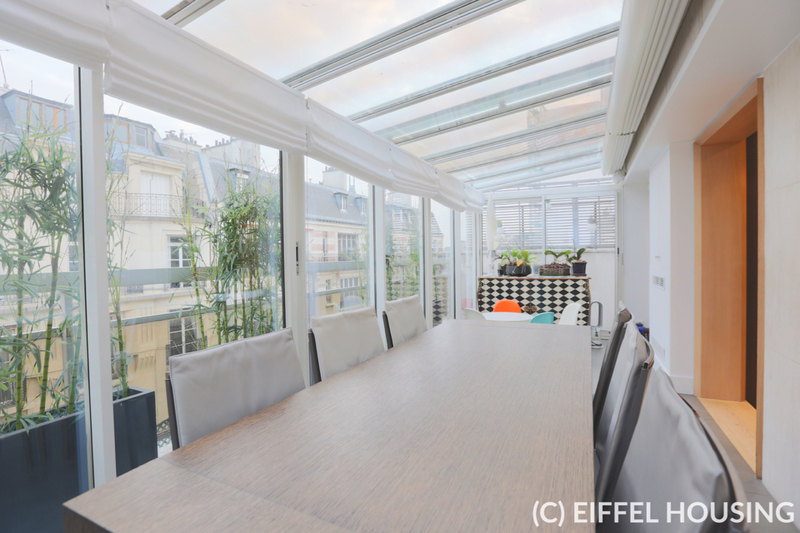 Located rue Cortambert in the heart of "Passy" affluent neighborhood and close to the shops of rue de Passy, rue de l'Annonciation and close to metro station La Muette (line 9). 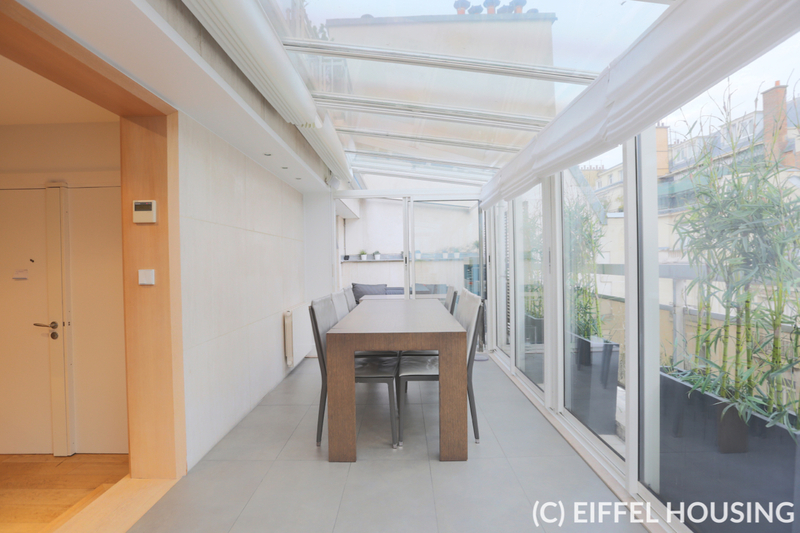 175 sqm property + 40 sqm for terrace. 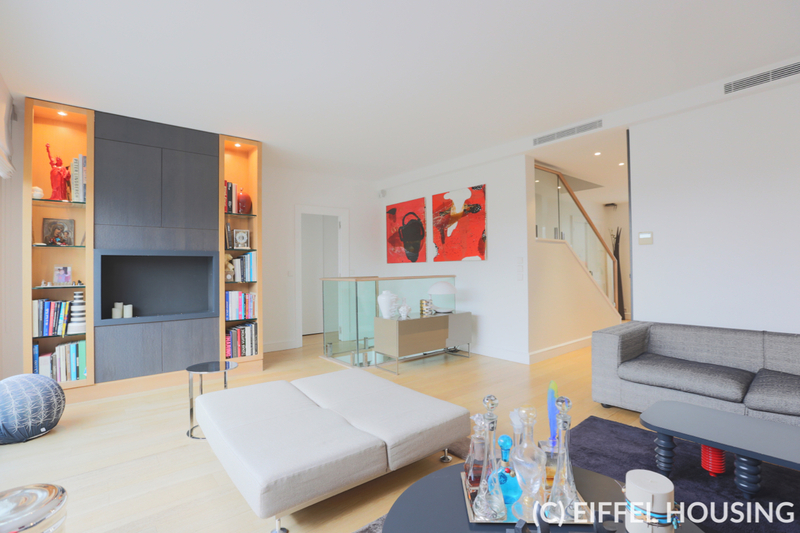 The apartment is on the three levels (5th / 6th / 7th floor - no other apartment on each floor) and provides contemporary, high end decoration, furniture and appliances. 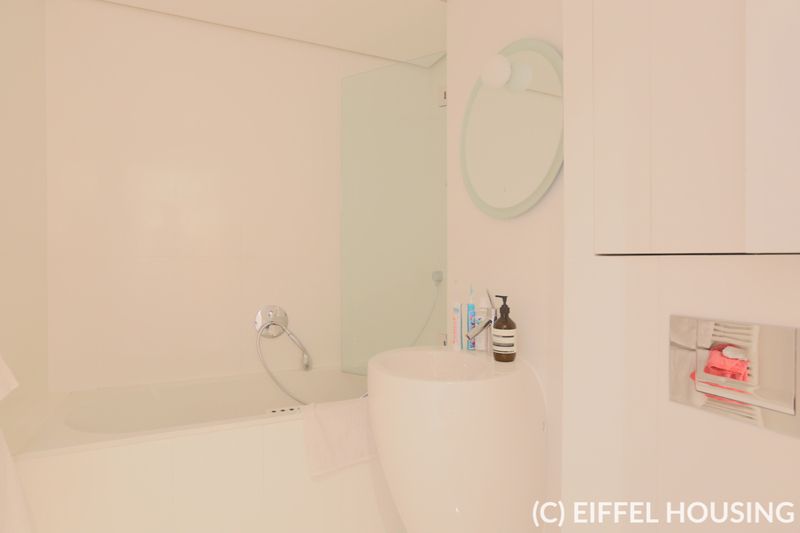 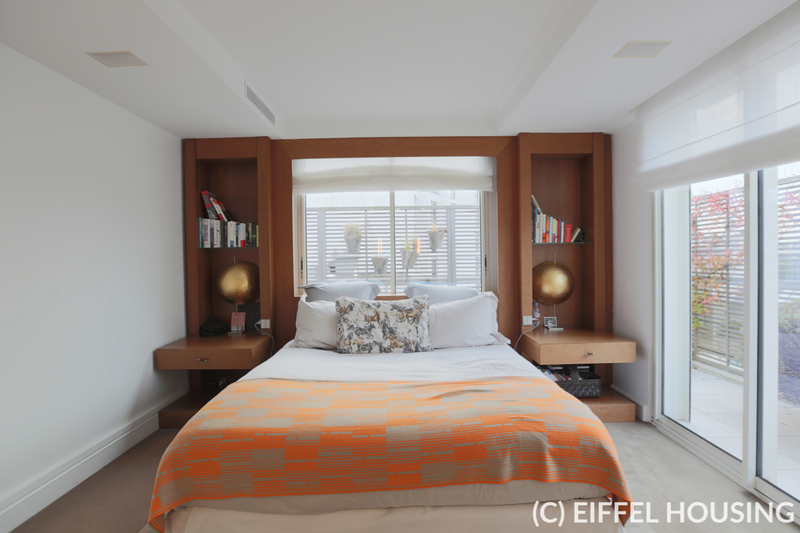 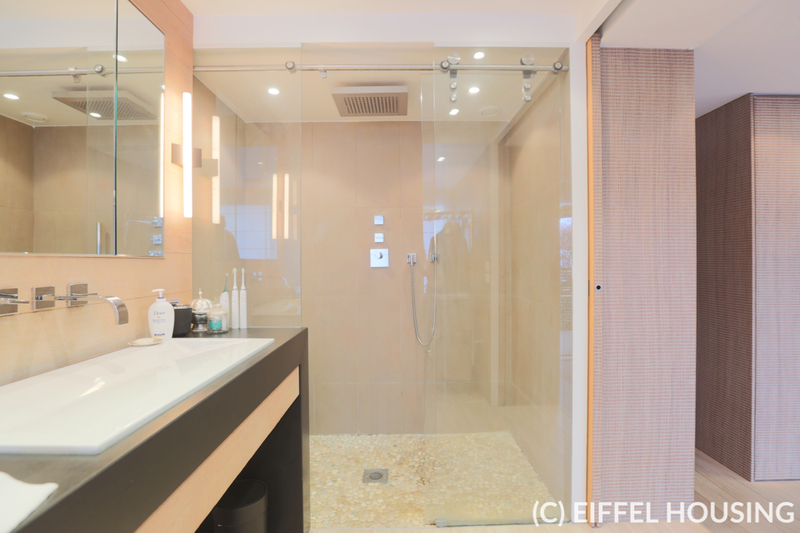 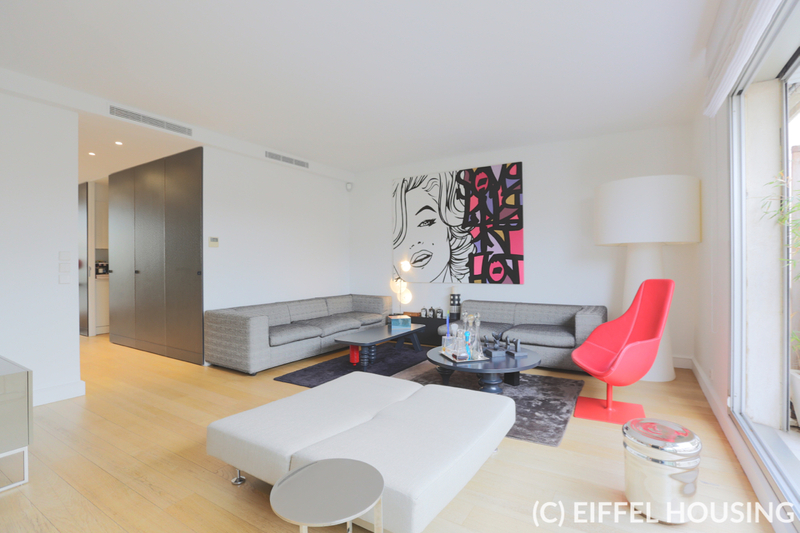 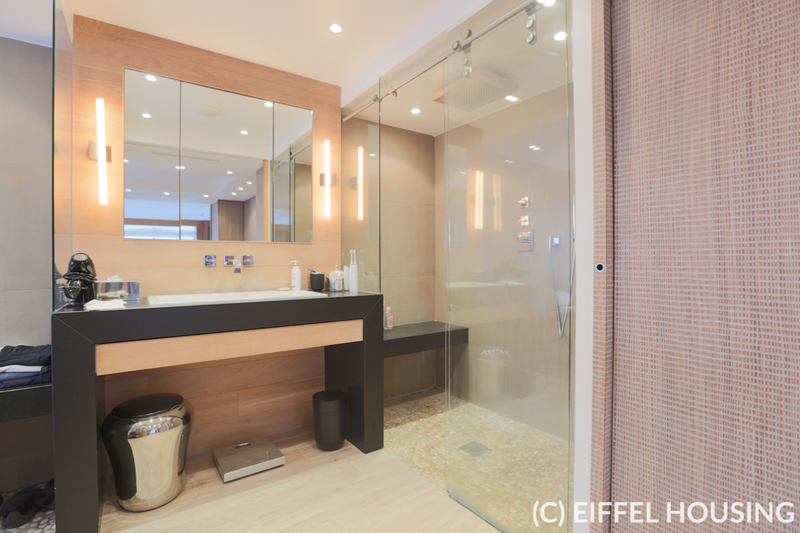 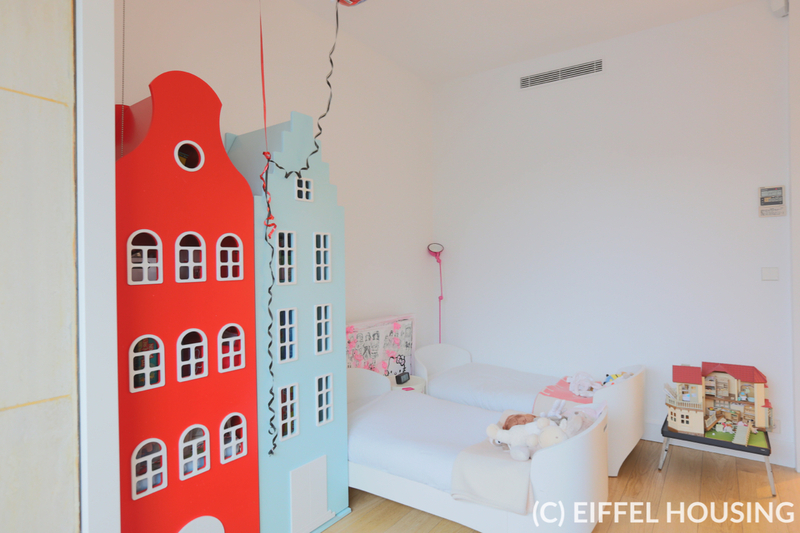 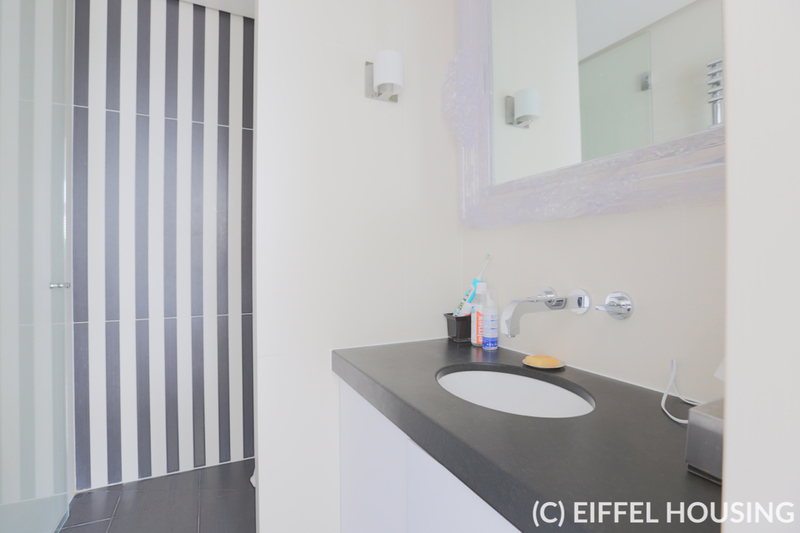 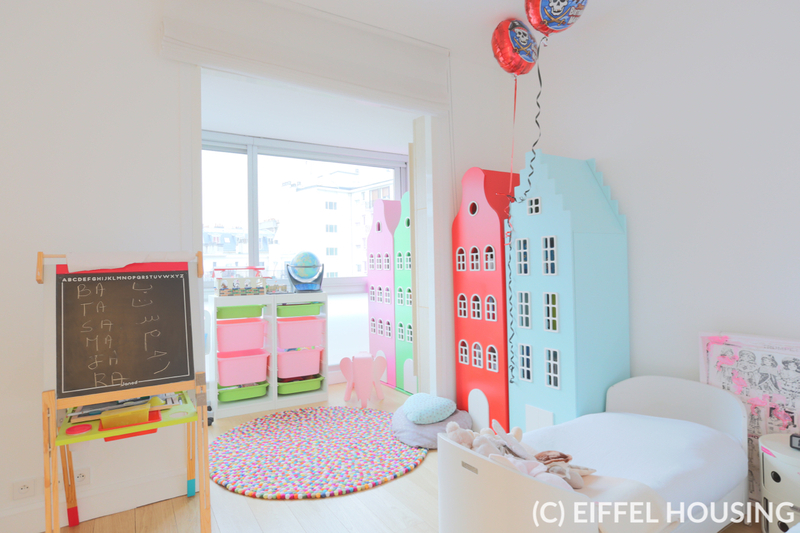 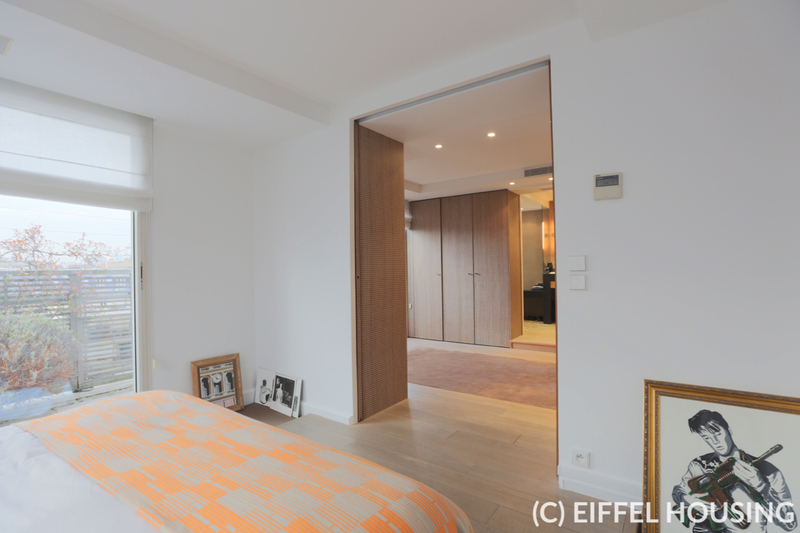 The apartement is in perfect condition and was designed by an interior architect. 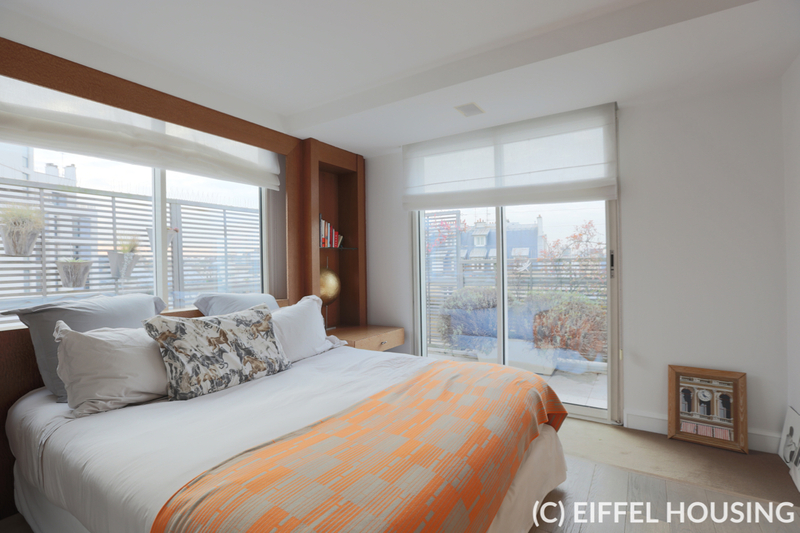 It provides 1 living room (with double exposure and a balcony), 1 dining room under a conservatory, 3 bedrooms, 1 home office, 1 separate fully equipped kitchen (with high end appliances), 3 bathrooms (2 with bath tubs, 1 with shower) and 3 WC. 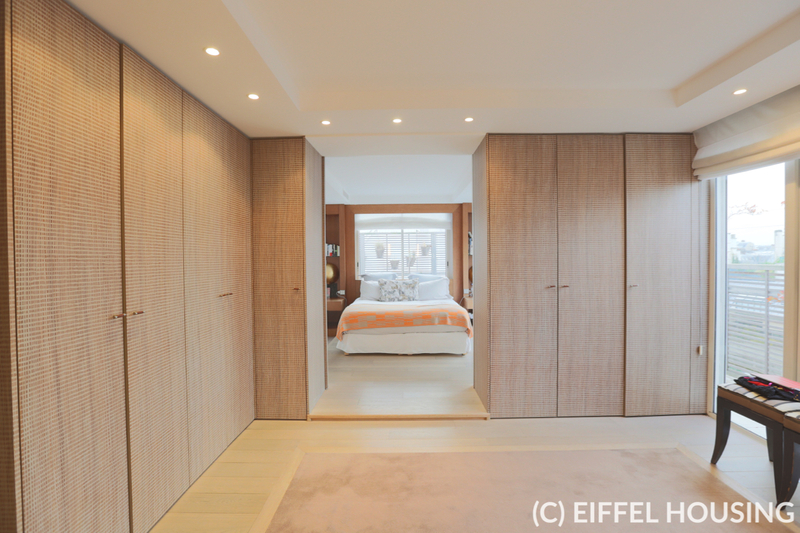 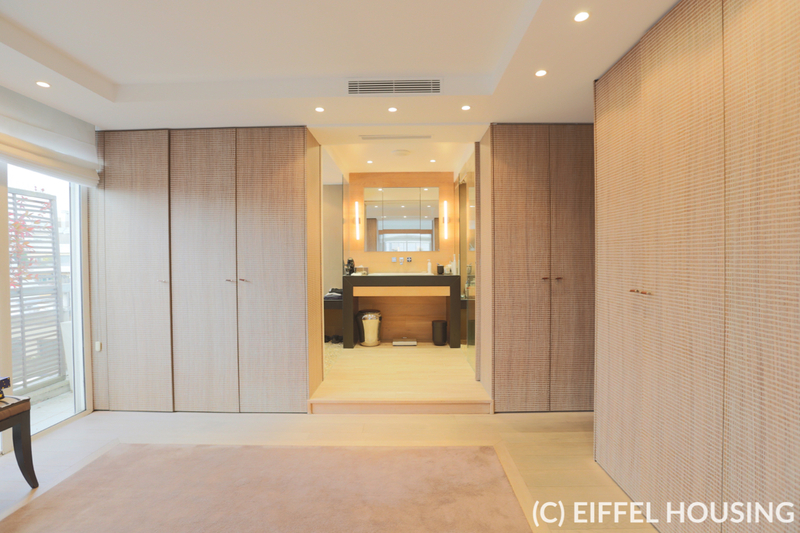 The master bedroom comes with a breathtaking walk-in closet. 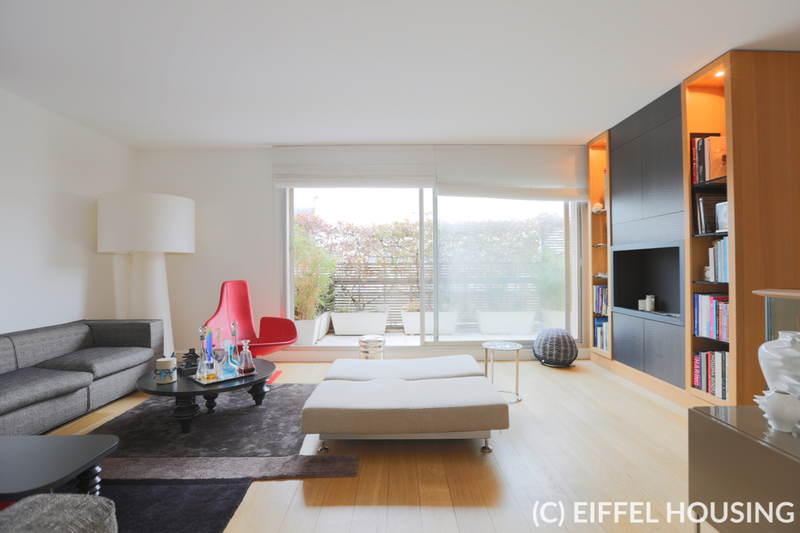 Contemporary furniture. 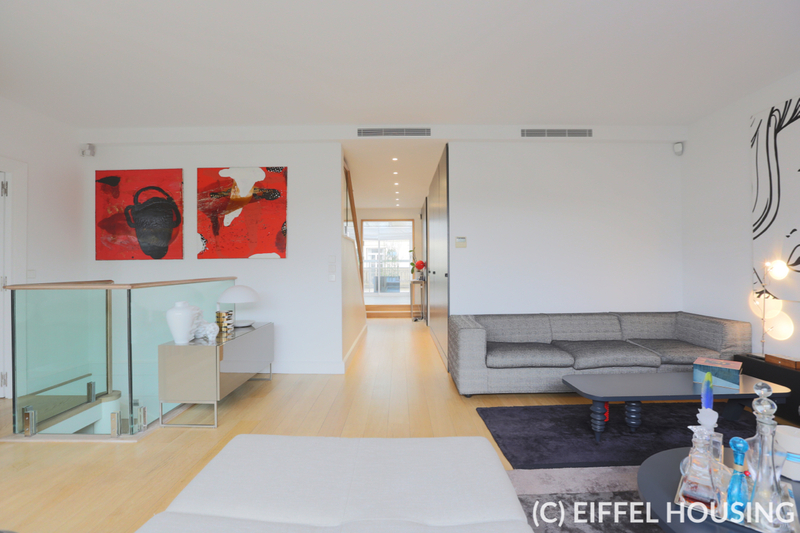 Painting and wooden floor in perfect condition. 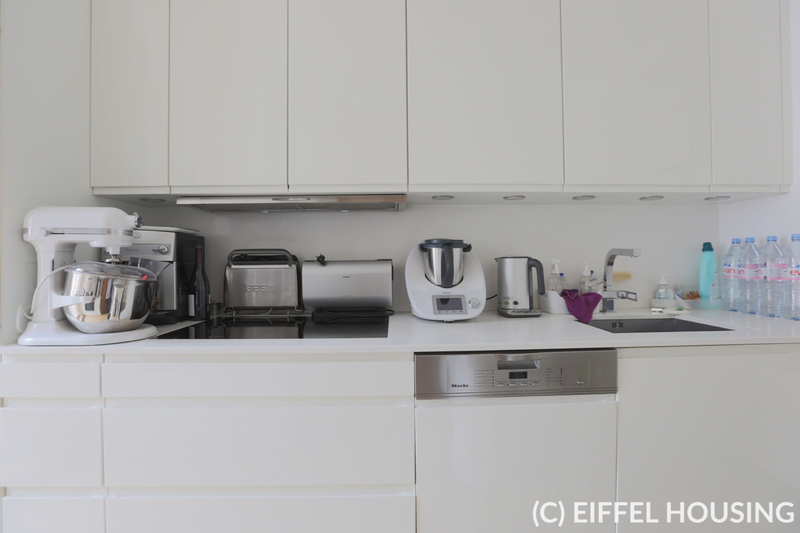 High storage capacity. 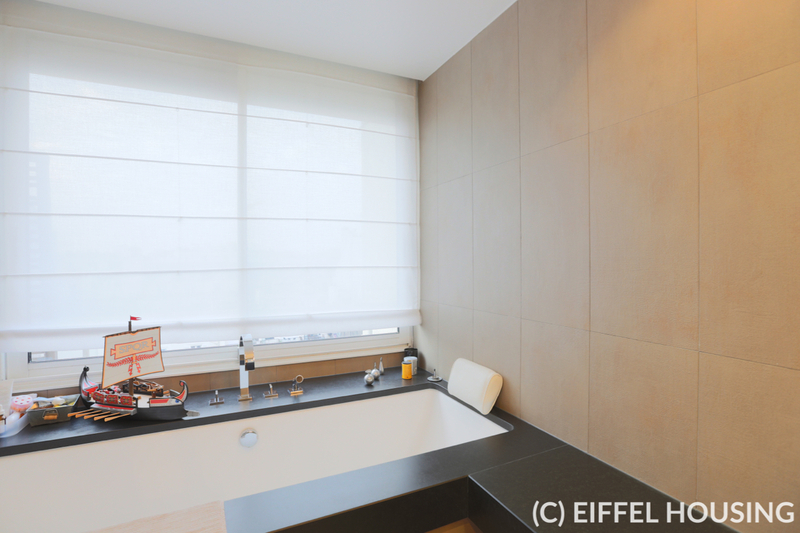 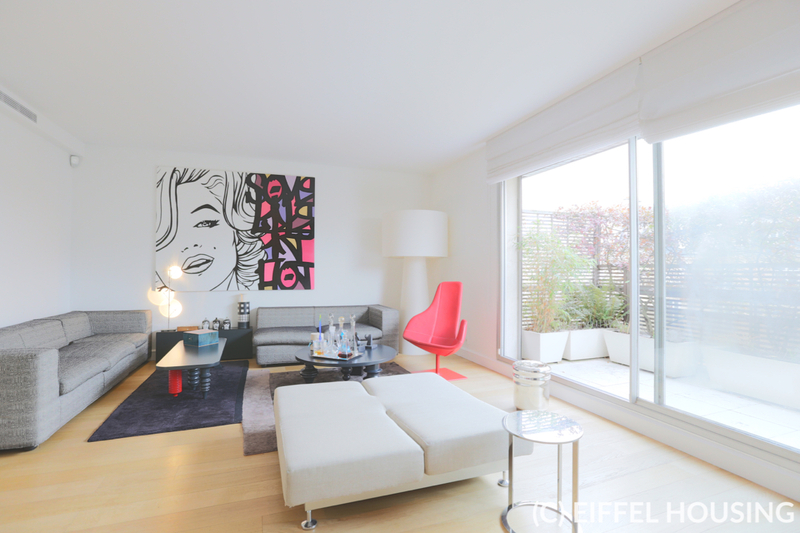 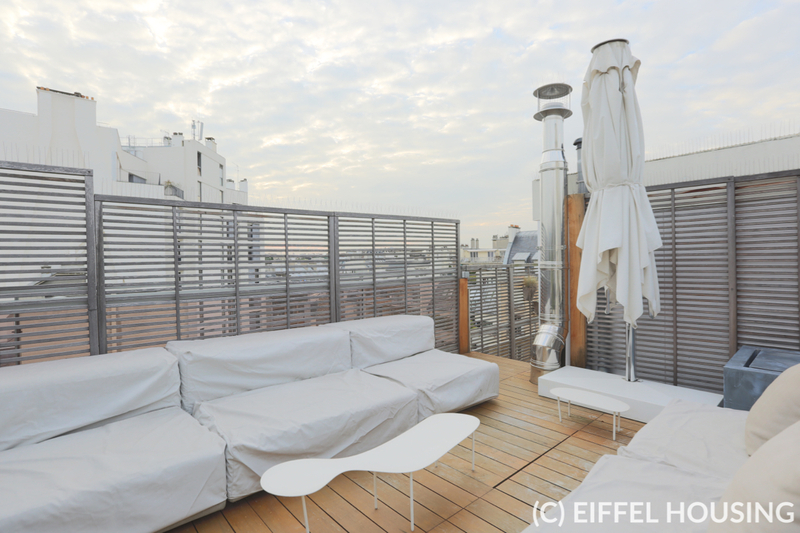 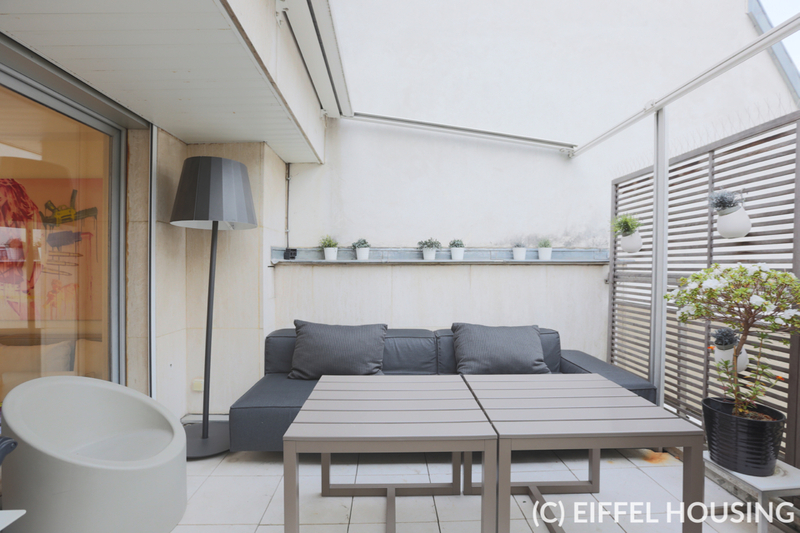 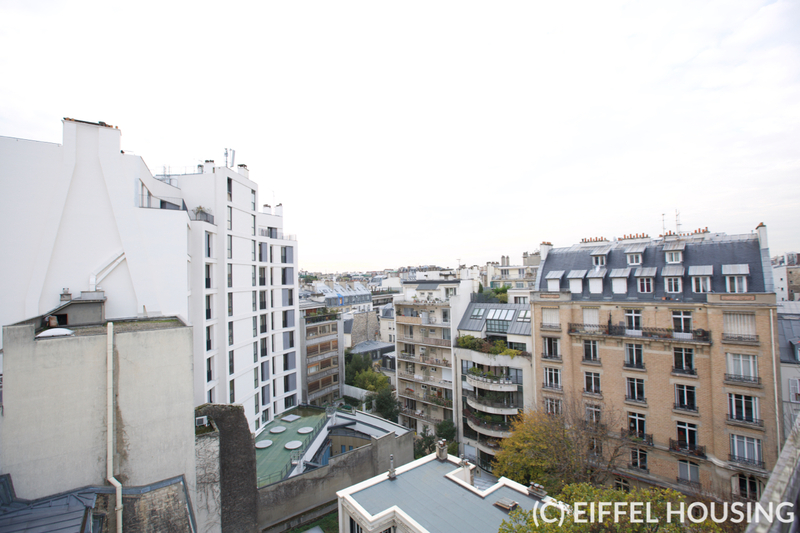 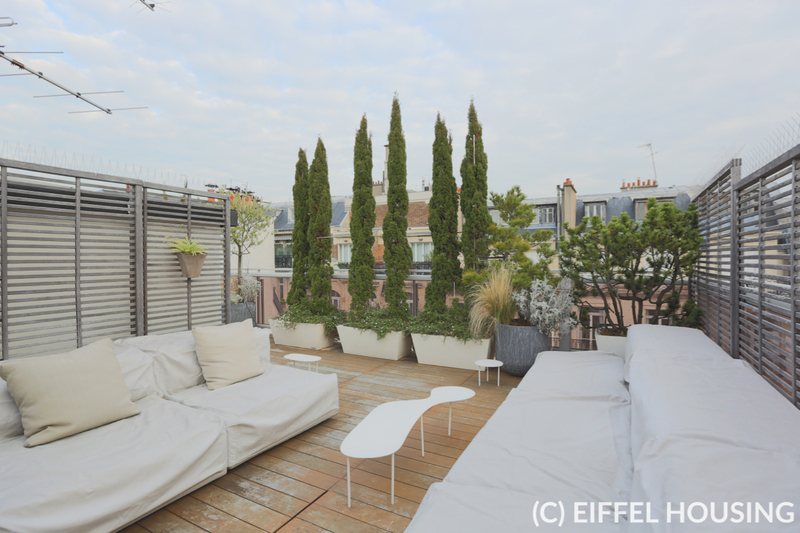 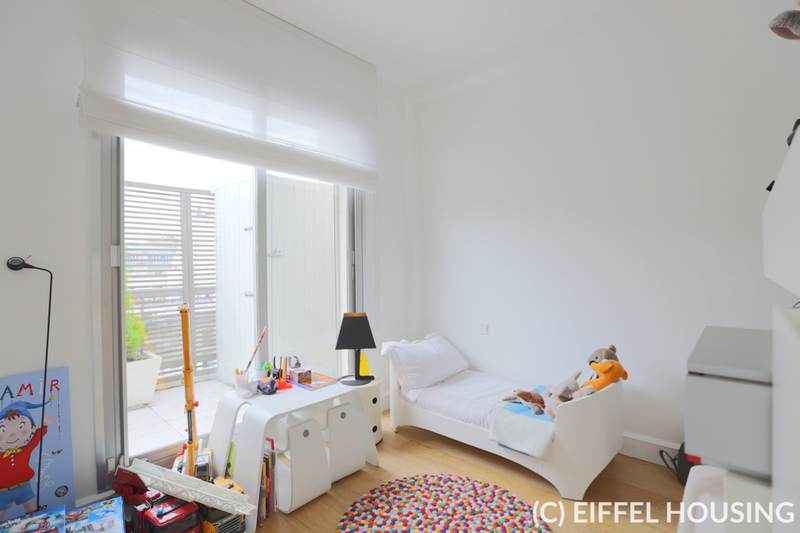 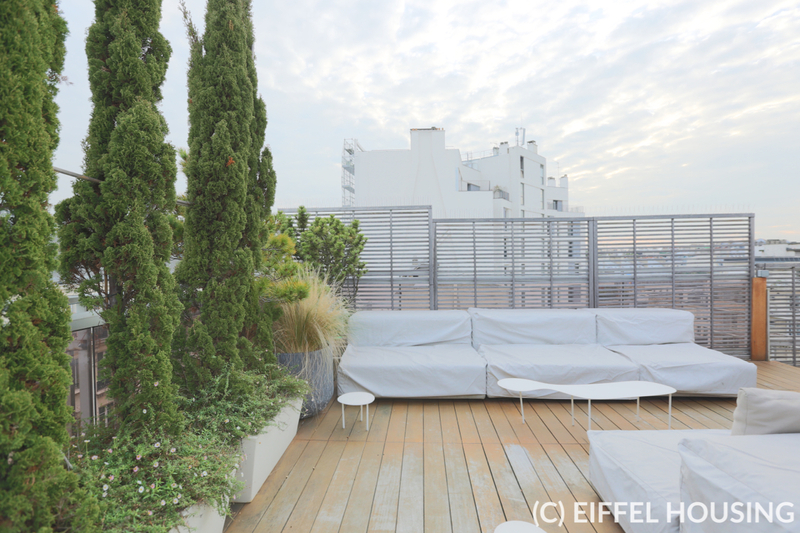 The terrace is ~ 40 sqm, is fully fitted out and offers a 360° view on Paris rooftops. 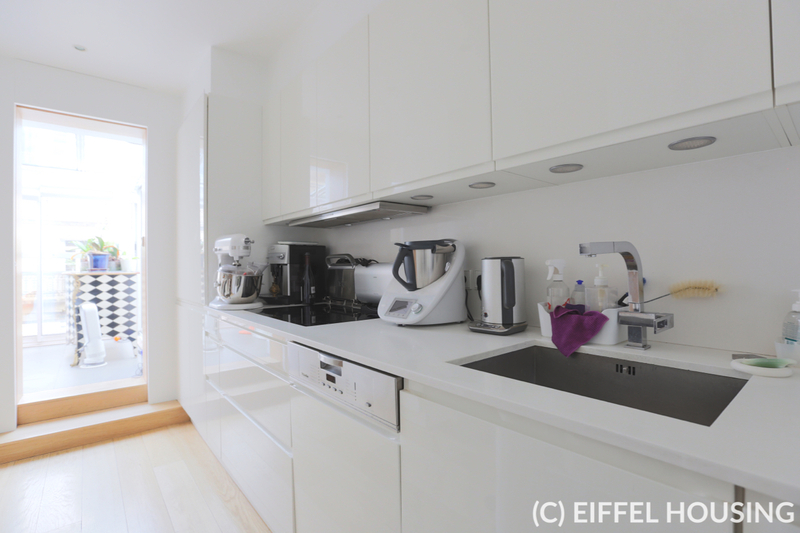 The rent includes 1 parking space (in the building).